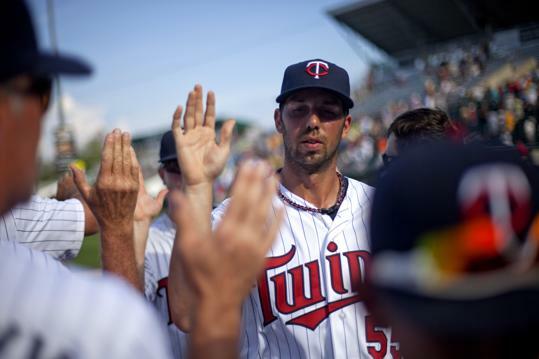 It’s Minor League Baseball graduation time for Team Italia/Minnesota Twins’ Chris Colabello. 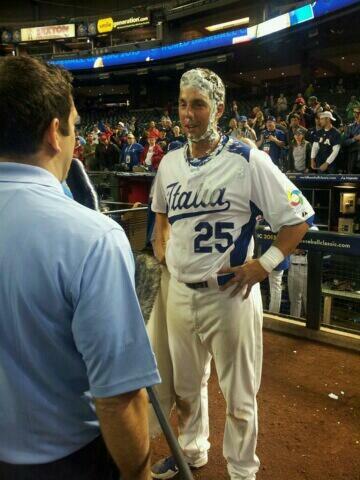 Italy’s clean-up hitter Chris Colabello came up big in the 2013 WBC tourney. try, try again…” Perhaps appropriate to sum up the life story of 29-year-old Italian American MLB hopeful Chris Colabello, the best is yet to come for this Massachusetts native. The slugger is poised to make his presence felt on the big league level this year when the Twins call him up from AAA Rochester. 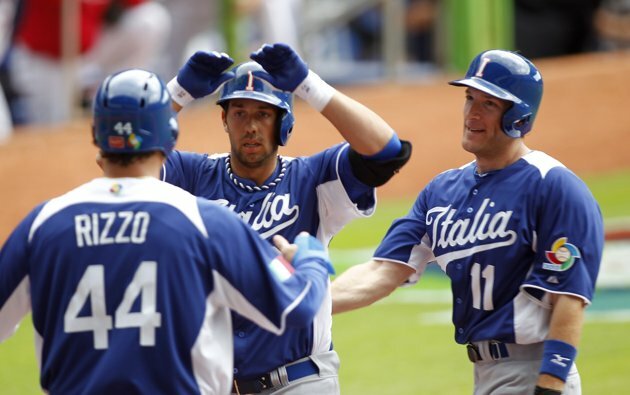 Colabello’s strong performance in the World Baseball Classic catapulted Team Italy into the second round of play this year. At Chase Field in Phoenix, he went 4-for-5 with a home run, four RBI and three runs scored against Canada to help Italy clinch a spot to move on to Miami and become the Chevrolet Player of the Game. While at Marlins Park, the Italians nearly posted an upset over 2013 WBC Champion Dominican Republic when Colabello clubbed a three-run bomb that rivaled any one of Giancarlo Stanton’s many web gems. 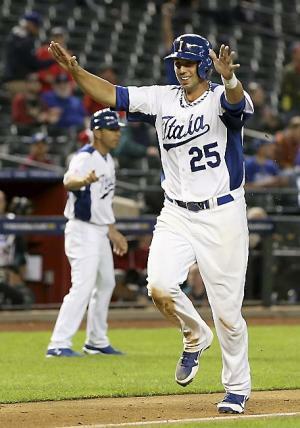 The Team Italy clean-up hitter lived up to his title by finishing the WBC with a .333 BA, seven RBI and a 1.035 OPS in 18 at-bats. praise for Colabello. 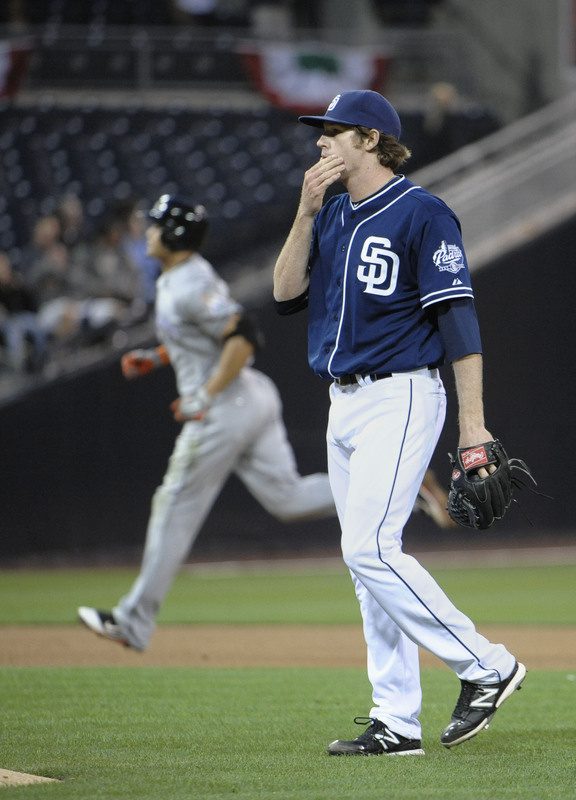 “He did fine,” said the Twins skipper. “He played great for Team Italy and really well for us. First base is a place where we don’t have a ton of depth. We have Morneau and then ad-libbing from there. So if he’s down there (AAA) swing the bat good, he could go right into the big leagues after all that time (seven years) in Independent ball. So it’s a good story.” After spending seven seasons in the Can-Am Independent League, Chris Colabello was signed by the Twins and spent last season at Double-A New Britain, where he put together a .284 BA with 19 home runs and 98 RBI. In 46 games this season at Triple-A Rochester, Colabello commands a .360 BA and leads the Red Wings in hits (63), doubles (17), runs (29), home runs (12) and RBI (42). Your browser does not support iframes. in the Canada post-game celebration. Roberto: Having shadowed Justin Morneau in Twins Spring Training and having torn the leather off the ball with your hot bat, you really made a statement playing against your Canadian colleague in a Team Italia uniform during the World Baseball Classic by beating Team Canada 14-4 in a mercy rule victory. Chris Colabello: Yeah. It’s been a pretty interesting journey to get where we are right now. Especially for me personally coming from independent ball and all that stuff. But it’s been great. I’ve been trying to take everything one moment at a time and just try to embrace it to the best of my ability. I think that when I was younger I would probably let moments that this speed up on me, and it would have been a little overwhelming. But I think with maturity comes the ability to just kind of embrace it. It’s great. I got to talk with Justin a bunch when we played him. I don’t think he’s too happy with us because of the final score that day. But it’s pretty neat and obviously a great experience for the Italian team. a locker next to two Minnesota baseball icons must have given you goosebumps? bit less nerve-racking than I thought it would be. Will Mauer and Morneau be back at camp before @drewbutera and @cc20rake ??? Did I just see my boy @drewbutera go deep?!?! That’s what I’m talking about..
the WBC with his two-run homer against Team Mexico. The chemistry in the Team Italia clubhouse was uncharted because at the end of the day the other team’s big league names on a lineup card didn’t translate in the game-ending box scores. Team Italia’s spirit, desire, passion, drive, and commitment to win games day-by-day under the leadership of manager Marco Mazzieri along with the coaching staff of Tom Trebelhorn, Bill Holmberg, Mike Piazza, Frank Catalanotto, Alberto D’Auria, Gilberto Gerali and Claudio Vecchi. 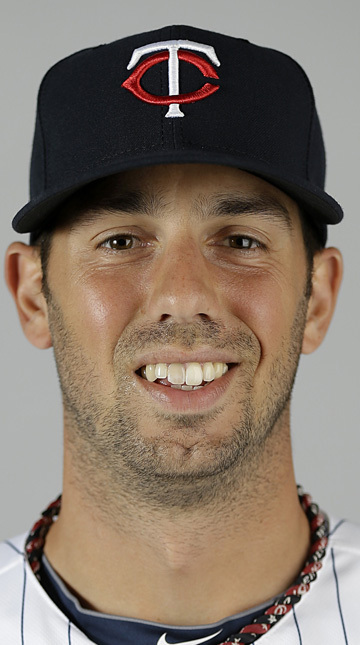 Chris Colabello: Yeah. It’s a testament to the staff and the organization. You know, being able to put together a group of guys that first and foremost would mesh well together. There was not a single ego in that clubhouse. It’s pretty unbelievable. We kind of embraced the role of underdog that everybody pinned on us. We certainly didn’t believe we were the underdog coming in. I think we obviously proved that to people playing strong baseball games in a row against some really good teams. Drew and I started talking when camp just opened. Every day we’d see each other at spring training. ‘Paisans’, you know, it’s kind of like that comradery came with it. Having played the European Cup last year, I saw what a great group of guys it was. It’s truly amazing to bring a guys from a big league camp and have them join with IBL (Italian Baseball League) guys and some guys from other walks of life and to have us all feel like we’ve been playing together for years is pretty amazing. Roberto: You could not have had a better guidance than Italian MLB Academy Director and Team Italia pitching coach Bill Holmberg as well as Team Italia hitting coach Mike Piazza. is a Hall of Famer in Mike Piazza, and a guy like Bill Holmberg–who is probably more prepared than any coach I have ever met in my entire life in terms of being able to scout, gather information and help guys out. Obviously, Marco is the leader of that group. It’s pretty amazing stuff because I think a line I remember hearing is ‘Attitude reflects leadership’ so it’s obviously a testament to them and the ability they go about teaching the game and helping guide us who we are. Roberto: How did you make the transition from Independent baseball to MLB-affiliated ball and what were the expectations that went along with it? Chris Colabello: It was all new to me at that point. Obviously not being drafted initially kind of hurt a little bit, and I really didn’t know where the road was going to lead. Baseball is a big part of my life. Worcester was probably the best thing that ever happened to me in my career. The manager I played for, Rich Gedman and the people I was around, some of my best friends for the rest of my life are some of the guys I played with in Worcester. After that 2005 season, we had a great experience. It was our first year. The city was really excited about it. I got a real taste of how the best minor league places are run because we were certainly treated like royalty. I had the opportunity to sign with Detroit (in 2006). I really didn’t know what to expect. It was all new to me. I had never been to Spring Training camp. I was really excited. I didn’t know how many guys there would be. Coming in as a free agent signing, I think at some point you have got to stand out. Again, I had mentioned before, when I was younger I used to let things speed up on me a little bit. I think that was probably part of what happened in camp unfortunately. I thought I had done a pretty good job performance wise and in terms of work ethic. And I think I had some good reviews from coaches before I had left, but things didn’t work out for whatever reason it was and back to Worcester it was. Roberto: At age 27 during your 2011 season with the Worcester Tornadoes, you put up impressive offensive numbers which earned you Can-Am League Most Valuable Player and Baseball America magazine’s Independent Baseball Player of the Year honors. 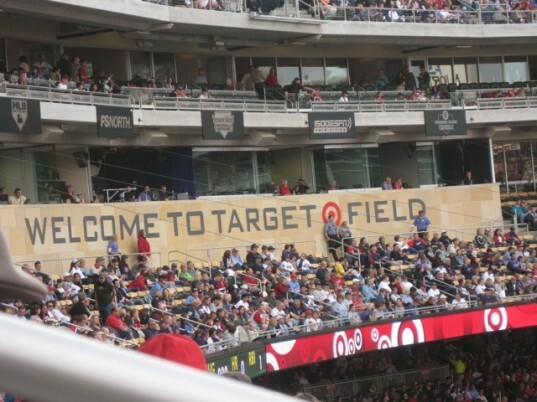 How could the Minnesota Twins not take notice? They saw something special in you and shortly thereafter offered a minor league contract. who is one of my best friends in the world. We‘d start getting after it in the cage…talking about timing and rhythm things, swing stuff that really changed my life (laughter). 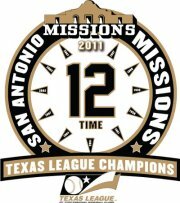 It allowed me to free myself up as a hitter a little bit which turned things around in my 2011 season. It was pretty magical in terms of finish. 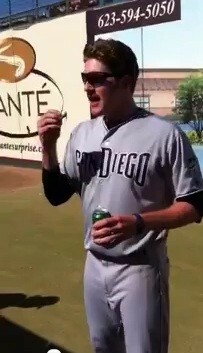 And of course all those nice accolades I was able to receive…I think helped me kind of break into affiliated baseball. I couldn’t be more thankful to the Twins organization for giving me that chance. Rock Cats Justin Morneau, Michael Cuddyer and Jacque Jones could not reach the prior plateau during their minor league careers. I couldn’t have imagined it, just as good if not a better year than 2011. I was on a little bit of a different stage. There was little more riding on it, but it was awesome. I reminded myself about having fun and the game doesn’t change no matter where you are. Once I started having fun, things began to free up for me. In both places early, I ran into some trouble. Again that mental maturity…aging has kind of helped me along the way. It reminded me how to battle back from situations like that so the numbers turned out to be what they were. It was a lot of fun. Roberto: You have trying to beat the odds in breaking in the big leagues your entire career with the same conviction to succeed despite getting older everyday. What keeps you moving forward in achieving your life-long dream? Chris Colabello: Ultimately, I think if you are passionate enough about something in life it would be irresponsible not to pursue it to the fullest extent. Baseball is such a big part of my life for so long and obviously a huge part of my family, huge part of my childhood. It’s a part of me. People say baseball doesn’t define who I am. Well in a lot of ways I feel like it does for me. Obviously it doesn’t define the type of person I am, but there’s always a huge part of me that will be in love with this game for the rest of my life. I think I just got really good at not taking ‘no’ for an answer. Every time I heard someone say ‘no’, it kind of made me want it much more and maybe work for it that much more. It allowed me to do things that I could take to that next level. Here we are today. Persistence and not taking ‘no’ for an answer are the way to do it. 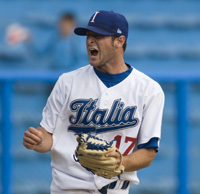 Team Italia/MLB veteran pitcher Dan Serafini is a kindred spirit to Twins slugger Chris Colabello. Roberto: You have a lot in common with Team Italia teammate and former Twins 1992 first-round draft pick Dan Serafini, another player who has seen the inside of more bus terminals than clubhouses. How are you so alike yet different ballplayers? same things and thinks the same way. at the right place at the right time to save your life. Correct me if I’m wrong, but you were lounging on the back of your baseball coach’s car when your coach took off down a hill at 30 mph without seeing you in the rear. You jumped off and landed face-first, resulting in a deep gash near your mouth and severe bleeding to the point where you were choking on your own blood. Dr. Maestri helped you get the blood out so you could breathe again. What a nightmare! Thank God there was a doctor nearby to render first aid and save you. Chris Colabello crushed the ball against Team Canada in the 2013 World Baseball Classic. thank you for all the support! #teamItaly #letsgo Glad to be able to share this with great people! The Twins’ faithful await Chris Colabello’s arrival. it is time for the call-up to Minnesota and his long-awaited MLB debut at Target Field. Looking ahead at their schedule, it would be ideal to bring Colabello up on May 29th when the Brewers visit the Twin Cities. That way the Italian American slugger will have the chance to share with Milwaukee’s Jeff Bianchi all the special moments that he missed. Unfortunately, the Brewers feared their infielder–who recently returned from the 15-day DL–would be injured if he played for Italia in the World Baseball Classic. 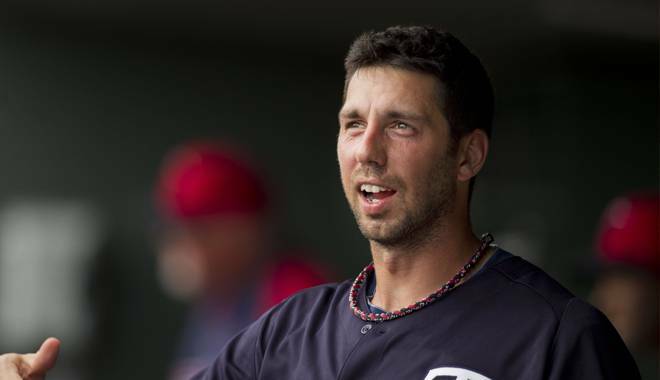 The time is now for Minnesota Twins 29-year-old rookie Chris Colabello to begin raking in MLB. for the fourth time in the 2013 World Baseball Classic. 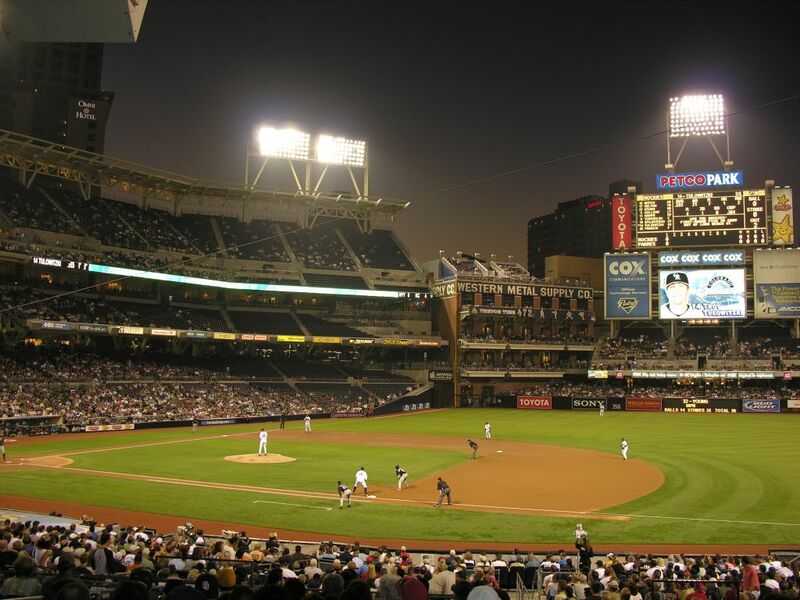 by MLB is experiencing a renaissance. 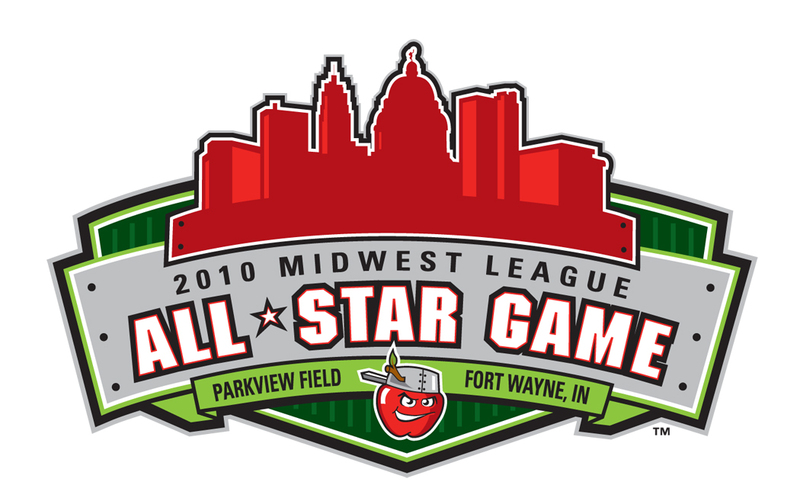 The two-time MiLB All-Star spent five seasons in the Chicago Cubs system. Alex Maestri later ventured Down Under, where he would be named 2011 Australian Baseball League (ABL) Team World All-Star and given the inaugural ABL Fan Choice Award. When I first met the 27-year-old right-hander at the Italian MLB Academy near Pisa last year, he told me that the Kagawa Olive Guyners wanted him to pitch in Japan. He took on the the role of the team’s closer and was a knock out from day one. 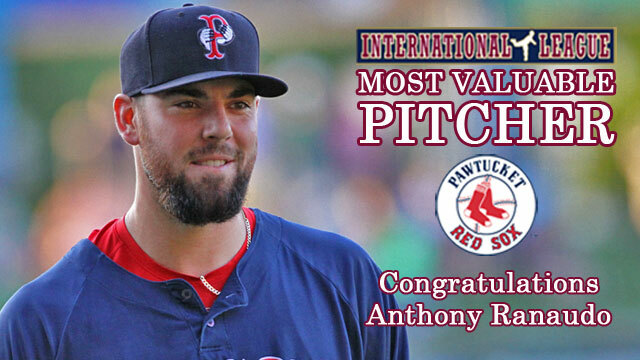 In each of the two months he played for Kagawa in 2012, he was named the indy league’s pitcher of the month. Closer Alessandro Maestri was not afraid to show his Italian winning spirit by striking out Jayson Nix to beat Team USA for the first time in 21 years during the 2007 Baseball World Cup hosted by Chinese Taipei. (49.2 innings/40 K). He was equally impressive during his 2011/12 ABL campaign. The Brisbane Bandits pitcher finished third in the ABL in innings pitched (63.2) and strikeouts (53), fourth in WHIP (1.16) and sixth in ERA (3.25). In Round Eight of the regular season, he earned Australian Baseball League Pitcher of the Week honors after throwing a stellar complete game two-hitter against the Canberra Cavalry. 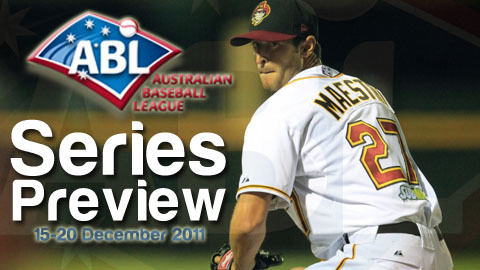 Alex Maestri pitched for the Brisbane Bandits during the 2011/12 ABL season. 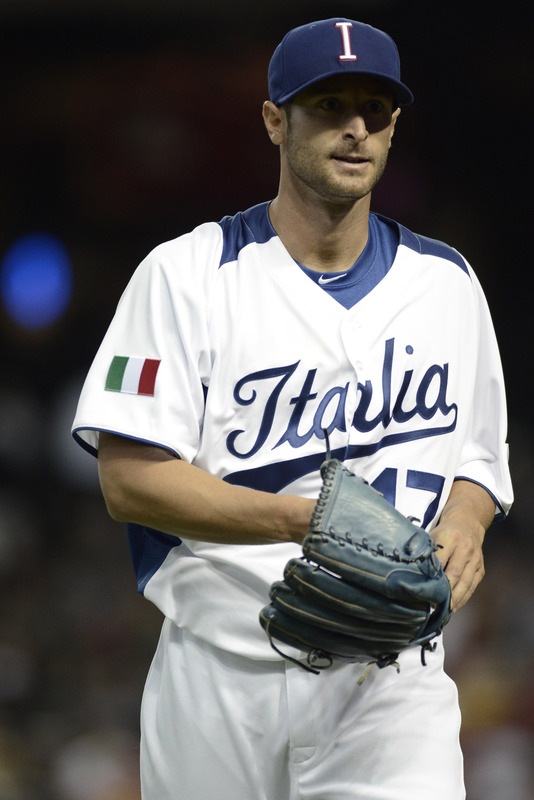 Team Italy starting pitcher Alex Maestri faces Team Puerto Rico today at 7pm (EST) in a win-or-go-home showdown televised live on the MLB Network from Marlins Park in Miami. 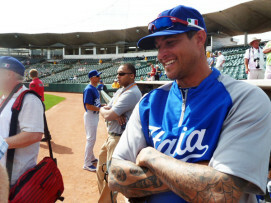 He and his fellow Italian teammates are ready to show the world that the defending European Champions are loaded with talent ready to lock and load in the competitive 2013 World Baseball Classic. Roberto: Welcome back to the USA! Alex Maestri: How are doing Roberto? It’s nice to talk to you. I’m feeling good. It’s been a long journey coming here. Everything is good. I’m glad to be with the Italian national team now. I’m looking forward to this WBC tournament and this year coming up. Roberto: After your successful campaign for the Japan Professional League’s Orix Buffaloes, the team has really stepped up its efforts in recruiting players from overseas. Alex Maestri: Yeah, you know, every year the team signs foreign players. This year we got seven so we’re probably going to have to rotate. That’s stuff that I can’t control, but it’s going to be fun. The team looks very good. We have a lot of Japanese players that are pretty good and young so I think it’s going to be an exciting year. Roberto: Did you enjoy the food in Japan? Alex Maestri: The food there is great. It’s so good. I heard good things about Japanese food before I went there, and when I got there I really appreciated it. Their cuisine is not all about sushi like we think. That’s what I thought too before I went there, but they actually have a huge variety of good food. It’s all very, very good. Roberto: Did you find a good plate of pasta there? Alex Maestri: Actually, you know what, they are very good at cooking pasta too. 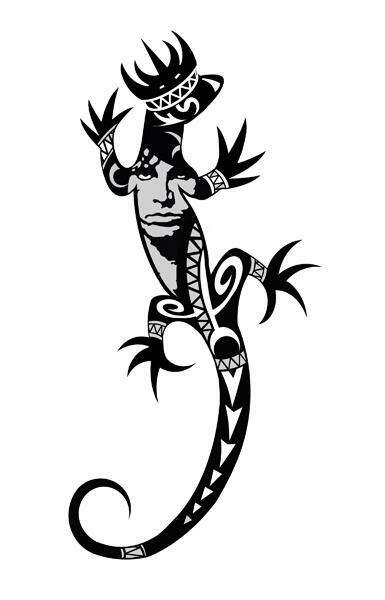 They can reproduce everything very well. They are very good at learning about other cultures and making it theirs. Roberto: The Japanese have the longest life span. So they must be doing something right. Alex Maestri: They are doing a lot of things right. Roberto: Your Japanese YouTube video is amazing. Have you ever been in the spotlight like that before? Alex Maestri: Not at all. That was like the first time. After the game, the player of the game gets interviewed in front of the fans in the stadium and put on the big screen. My debut was actually a great game. I got to do that right on the field. It was cool. This fan had this Italian flag with him, and he came all the way close to the dugout. He passed the flag to one of the reporters who gave it to me. 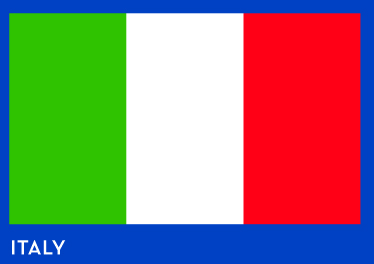 So it was good, it was good seeing the colors of Italy in Japan. I was very proud too to represent those colors in a good way. Roberto: It almost had an Olympic feel to it. Alex Maestri: Yeah, you see those gold medal runners walking around the track with their flags. I was just standing around though. It was a really a weird day. I really didn’t feel uncomfortable. I really didn’t know what was going on. Roberto: It must have been an adrenalin rush. Alex Maestri: It was during the game. Afterwards, I was just relaxed and happy. 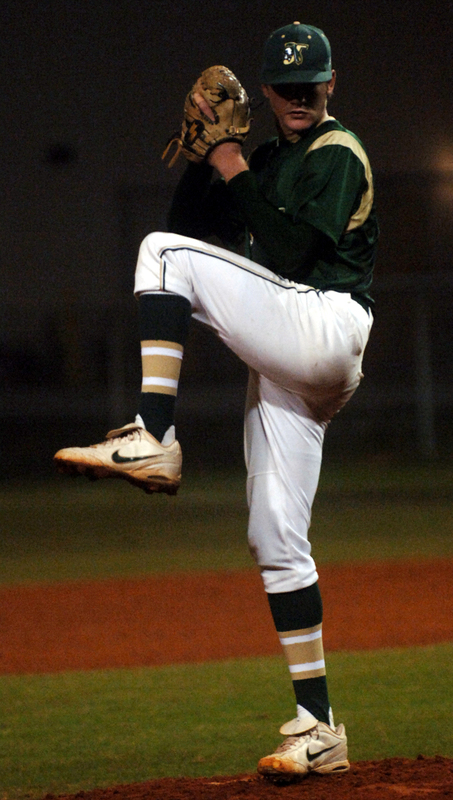 I was done pitching, and we won the game. Roberto: Tell me about what you remember most about playing Minor League Baseball. Alex Maestri: I was here in the states for six years, and five of those six years were with the Cubs. I have a lot of great memories with that team. The game that I remember the most was a Cubs Spring Training game, and I was with the big league team against the A’s. They gave me one inning, and it was pretty good. Roberto: And you got to face Italian American Jason “Giambino” Giambi. Alex Maestri: Actually Giambi is the only one who actually got a hit off me. I faced four guys, and three (Orlando Cabrera, Matt Holliday and Eric Chavez) of the four were strikeouts. Roberto: Since he is Italian, were you giving him a free pass to first base? Alex Maestri: (Laughing) Yeah, I guess so. 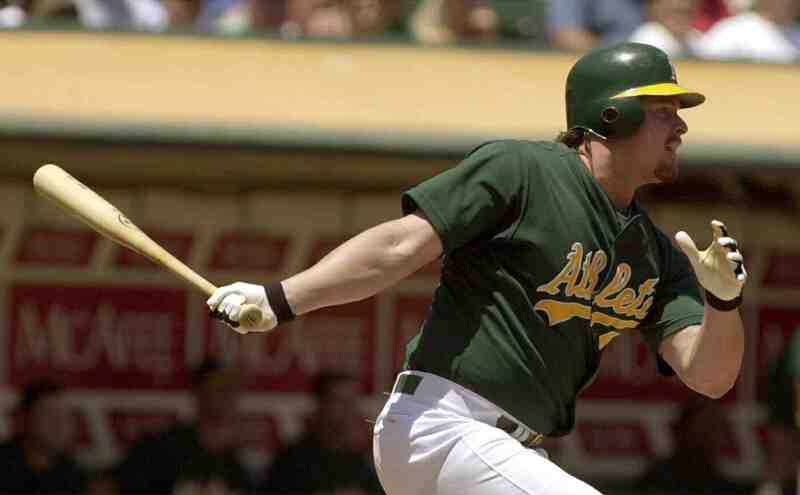 Italian American Jason “Giambino” Giambi was the only A’s hitter to get on base against pitcher Alex Maestri in a 2009 Chicago Cubs Spring Training game under Cubbie manager Lou Pinella. Roberto: Let’s talk about the development of baseball in Italy. 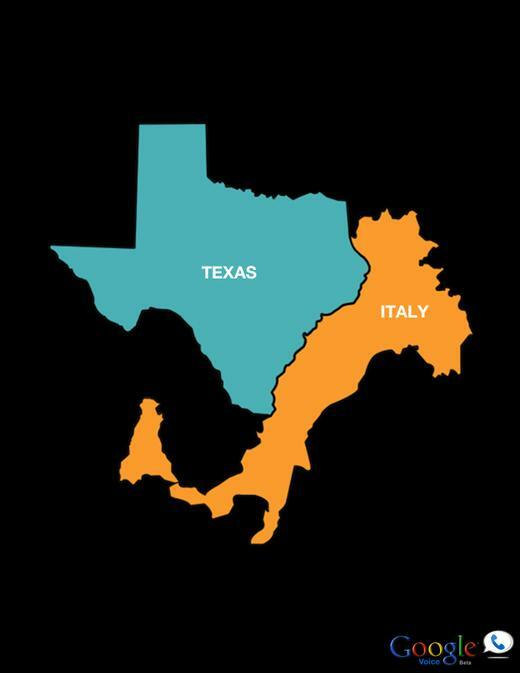 Is playing on Team Italia like serving in the Italian military and serving your country? Alex Maestri: Yeah, I mean in Italy we have a lot of good players. 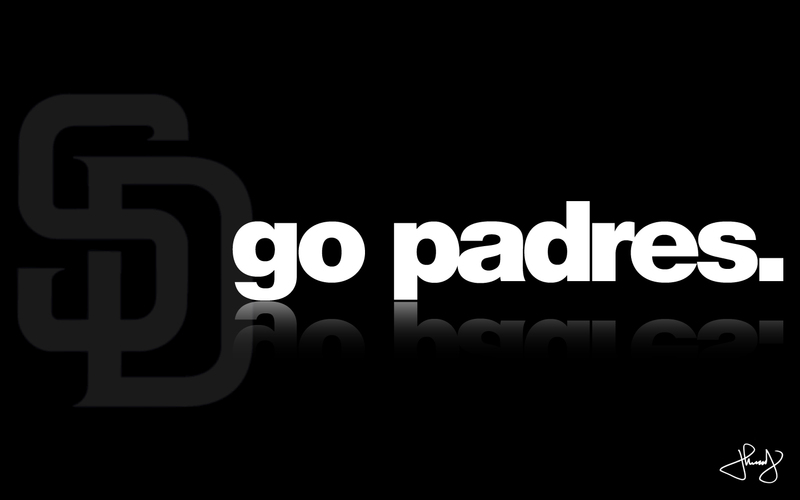 It’s a shame that there is not much money supporting baseball so it’s not easy to develop guys. But we have the Italian MLB Academy now, and you know it’s doing very good. There are some young players that are doing some really nice work. And there’s more and more scouts going down there to look at them. It’s a pleasure for me to represent the country all over the world. And even if I just play for myself on the team that I play with, I always play for my colors, I’m always proud of that. Roberto: Forza Italia! Forza Azzurri! Alex Maestri: Yeah, per sempre Forza Azzurri! Roberto: You don’t take any prisoners when you pitch, and you proudly wear your colors on your sleeve. 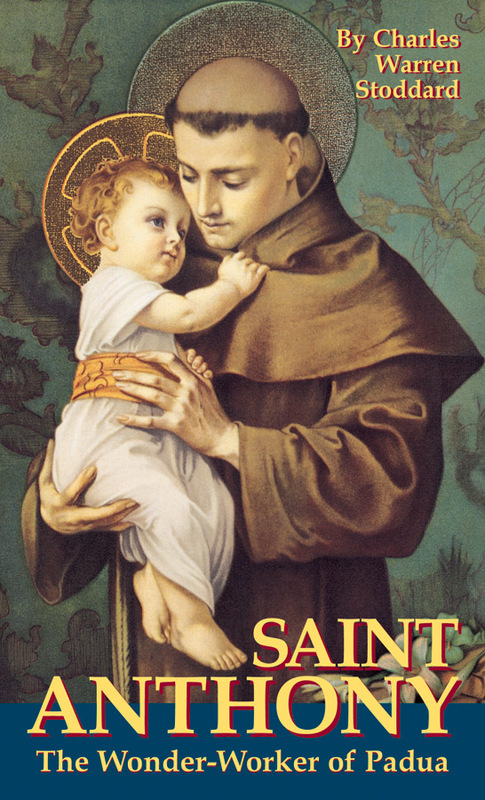 It shows that you pour your heart and soul every time you step on the mount to throw. Alex Maestri: Yeah, I think that’s what you have to do on the mound. You’re not always going to succeed. But that’s the attitude you’ve got to have to pitch. Roberto: Italy pitching coach Bill Holmberg has changed the mindsets of many on this staff for the better. Alex Maestri: Bill has been my pitching coach forever. He has known me since I was a kid And you know I started working with him when I was 18-year-old and started to go to the Italian MLB Academy. But even before that he was working with me. He’s my main pitching coach. I always try to go the Academy during the offseason and have a few workouts with him. I really like the way he teaches pitching. I think everybody, all the pitchers that get to work with him, they appreciate his work. Roberto: He was the one who wrote your name on a scouting report for the Chicago Cubs, and the next thing you know you were signed to MLB. Alex Maestri: At the time he was an international scout for the Chicago Cubs, and you know I was doing pretty good. I was young and I was doing good for my team. And he said that he was going to take a chance and sign me. He said that I could make the Big Leagues. He really believed in me. He gave me a great opportunity to come over and gave me a chance to play in the states. 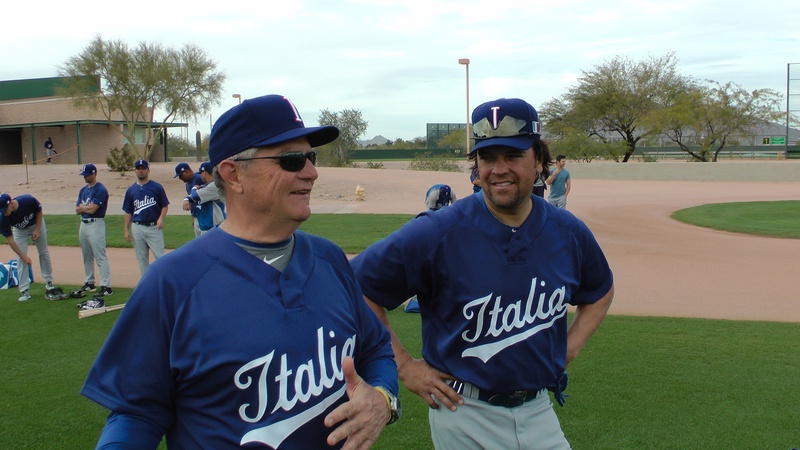 Roberto: Mike Piazza could be doing else, but instead he chooses to with you as the hitting coach for Team Italy. Alex Maestri: We really love that. It’s great to have him around in the dugout. He’s like doing this for fun. He enjoys working with us… That’s why we appreciate it so much. I think he is positively influencing the program that we have. The fact that the team is winning and improving proves it. So that’s why he keeps coming back. Roberto: Coach Piazza helps pitchers as well, right? Alex Maestri: Oh definitely. We always have meetings in the morning.. He comes in with Bill and always says his opinion on our pitching. He was one of the best catchers in the game so he obviously knows a lot about pitching too. It’s just great having him around. Roberto: Being the underdog, Team Italy plays like there is no tomorrow. Alex Maestri: I guess it’s kind of normal since baseball is not so developed in Italy. People don’t really respect Italian baseball, but you know it’s kind of like the fun part of playing. Nobody really thinks that we are strong. But I think we are a very good team actually, and we should again surprise a lot of people around the world. Roberto: It this also an opportunity to play on the world’s stage to show MLB what they missed out on? Alex Maestri: I don’t think I have to have any sort of revenge, I just want to play good for myself and my country. I was here in the states, and they gave me a great opportunity to play here. I had a lot of great experiences here so it’s not like I’m mad at anybody. Things just went that way. I had a tough year in 2010 so it’s normal that I got released. You know I’m still playing baseball. I’ve got a great opportunity now in Japan. I just love what I do so like I said before I am just going to play for my country and not for anybody else. Roberto: You look healthy and happy. With this Italian team playing to win, I know you are going to give it your all. Alex Maestri: Yeah, I think a few years back, the Italian national team just went out playing a few tournaments to kind of like participate. But now with manager Marco Mazzieri, you have a very good attitude and it rubs off on all the players. Now you have a very strong group that won two European Championships back-to-back. And now everybody is starting to feel confident about themselves. And in baseball that’s what is about—confidence. You know we got ability so we need to be confident and just go out there and play baseball. 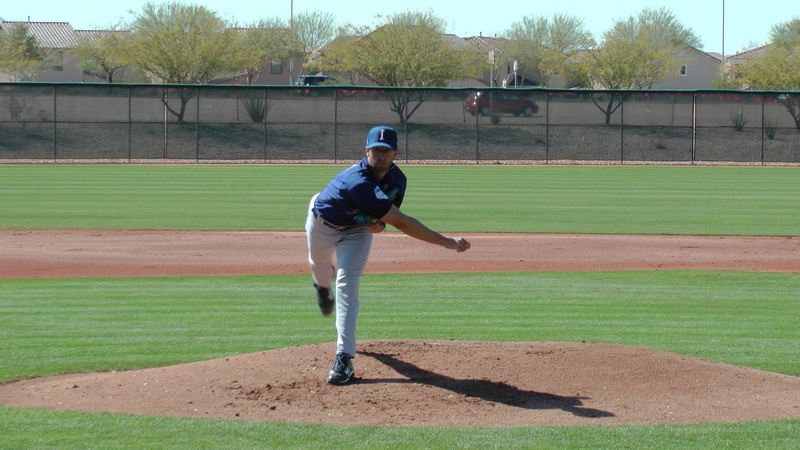 Alex Maestri had some serious movement on his arsenal of pitches in the 2009 WBC. Roberto: You have a wicked slider which was once regarded as one of the best in the entire Chicago Cubs organization. Alex: I’ve got my pitches like everybody else. I just got to keep working on them and make them as confusing as I can for hitters. Roberto: In prior in WBC competitions, you have been stellar. I hope that you will continue to shine in the upcoming 2013 WBC. Alex Maestri: Yeah, you know, that’s the plan. We always try to do our best. And that’s what I’m trying to do this time around. Right now I’m getting ready and going day-by-day. It’s going to be a lot of fun, and I’ll definitely give my best effort. Roberto: Are there any players in the WBC that you know from you days in MiLB? Alex Maestri: The only guys that I remember is catcher Chris Robinson from Canada. We were in the same organization. We never really played together. I have played against many of the USA players like Mike (Giancarlo) Stanton and Jonathan Lucroy. It’s cool facing them again in the World Baseball Classic. Roberto: Every pitch has to count with the WBC pitch limits in place. Alex Maestri: Yeah, that’s kind of like the plan every time you go out. You know it’s a team sport so everybody is going to have do his own thing. I know that I will do my part with my pitching, but once I’m done with my pitches then there is someone else coming in to take over. We just all have to do this together, and it’s going to be touch. We’re playing the best teams in the world, and it’s going to be hard work. So we’re going to have to be really focused. Roberto: You have to execute. Alex Maestri: Yeah, you’ve got to be able to execute and if you don’t you just lose games. That’s why we play this game. You know, we enjoy that part of it. Roberto: What does it mean to be an Italian playing baseball? Alex Maestri: I just started to play baseball because of my brother. At the time I wasn’t really watching any baseball on TV. I started doing that later on, but it was cool seeing all those guys with Italian names written on the back of their jerseys. I just grew up hoping that one day that I would be able to take their place. 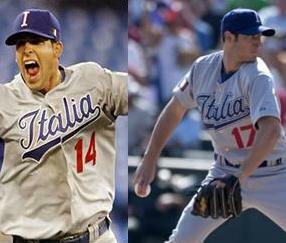 Roberto: With the influx of MLB players now joining Team Italy, how will it change the personality of La Squadra Azzurri. Alex Maestri: I think it’s going to be the same. We have a good personality now. Those players are going to definitely improve the level. Because obviously they are Big League players and they have more experience than we do. It’s going to make the team better, but I don’t think it will change the personality of the team. Roberto: You are representing Italy on all corners of the earth wherever you compete. Alex Maestri: I feel like it. I always travel the world and play baseball in different countries. But my roots are always with me so I feel very proud of that. I’m sure all the other guys feel proud of that too—even the Big League players that are going to play for us. We already had a bunch of them in the World Baseball Classic, and they play as hard as we do. They want to win, and it’s just going to be great to do it all together. Roberto: Any favorites? Has the Dodgers’ Nick Punto lived up to his name as the shredder by tearing the jersey off walk-off heroes after Team Italy victories? Alex Maestri: I don’t know about Punto, but another guy who had an unbelievable WBC tournament was Chris Denorfia. At the tournament, he really gave everything he had. He made some great plays defensively and had some clutch hits so it’s going to be good to see him again. Jason Grilli has been with us for the first two World Baseball Classics. He’s just a great guy. He loves to come and play for us. Alex Liddi, of course, is one of my best friends. I haven’t seen him in a long time. I saw him the other day, and it was just great seeing him again. He’s really family. I feel like his brother. And all the other guys that are going to come are going to be very welcome. Roberto: You will be in the capable hands of catchers Drew Butera from the Minnesota Twins and Tyler LaTorre from the San Francisco Giants. Have you ever worked with them before? Alex Maestri: Actually not. I haven’t had the pleasure to work with them yet. It’s going to happen in the WBC. 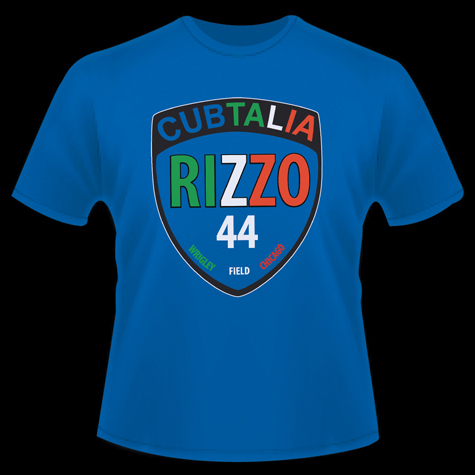 Roberto: Since you were in the same organization as the Cubs’ Anthony Rizzo, it will be sort of a Cubbie reunion with two Italians on the same team. Alex Maestri: Yeah, I heard really a lot of good things about him. We both played for the same organization so it will be good. Roberto: Anything else you would like to say before we sign off? Alex Maestri: I’d like to say hi to everybody. I would like to thank the great people all over the world. I really enjoy what I’m doing now. I might not be enjoying this for the past seven years if it had not been for them. Thanks! 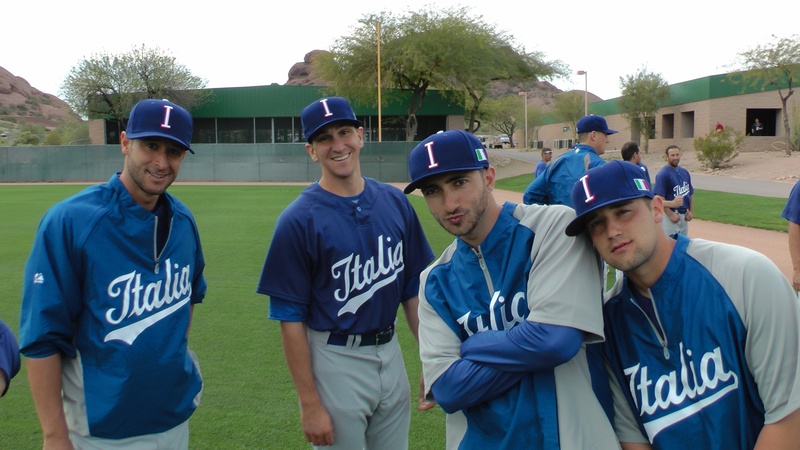 Roberto: I really enjoyed meeting you at the Italian MLB Academy and talking with you today here in Arizona prior to the 2013 World Baseball Classic. Thanks for your time! Alex: Thank you very much, and thank you for the work you do for Team Italy. It’s good to have somebody who really cares about this team and tries to promote the team as much as you do. Thank you for doing that. Roberto: Thank you. It’s my pleasure. I believe in you and Italian baseball. God bless Italia!